Fisher Scientific Marathon 21000R Benchtop Refrigerated Centrifuge High speed multipurpose refrigerated centrifuge with maintenance-free brushless motor, accomodates fixed or swinging bucket rotors. 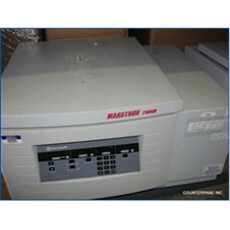 New and used Fisher Scientific Marathon 21000R's for sale on LabX. Purchase and get quotes on the products you need for your lab. Choose from a variety of vendors.